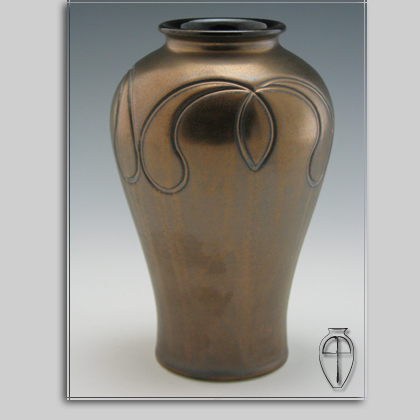 a very quaint 6″ vase with Art Nouveau buds around the shoulder of the form. The surface is covered with my metallic glaze that exhibits gold and pewter tones. SOLD!